Dry-Tech Water Damage Restoration Services for fast 24/7 emergency water damage restoration, mold remediation and smoke and fire damage in the western suburbs of Philadelphia and surrounding areas. Our IICRC trained restoration specialists are qualified and have the equipment to handle any size restoration job. 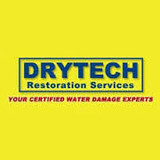 At Dry-Tech Water Damage Restoration Services, we know water, mold and/or smoke and fire damage can be overwhelming for you and costly to your home or commercial building, so our restoration specialists will work with you step-by-step through the entire process. Call 610-304-5117 to Contact Us Today! As a trusted leader in the restoration industry, SERVPRO of Kennett Square/Oxford has highly trained technicians that are dedicated to responding faster to any size disaster. 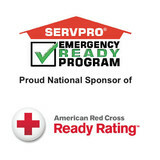 We provide 24-hour emergency service and have the training and expertise to handle your restoration and cleaning needs. C. Yates Powerwashing provides Residential & Commercial Power Washing & Pressure Washing in the New Jersey, Pennsylvania, Delaware Tri-State Area. We are a local family-owned owned business. We are fully insured and have over 15 years of experience. We are an EP Henry Certified Sealing Specialist and we are EPA Lead-Safe Certified. We provide FREE ESTIMATES. All estimates are done in person, not over the phone, so we can give the homeowner the "Expectation to Realization" walk around of your property. C. Yates Powerwashing will match or beat any written "service-for-service" estimate from an insured competitor. 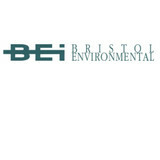 BRISTOL ENVIRONMENTAL, INC. IS A FULL SERVICE CONTRACTOR, PROVIDING SERVICES FOR THE INDUSTRIAL, COMMERCIAL, HEALTHCARE, EDUCATION, RETAIL, AND GOVERNMENT MARKETPLACES. Founded in 1994, BEI has evolved into a company dedicated to providing unparalleled service and quality of work. BEI has assembled an experienced team of hazardous material management professionals; and, is able to serve the needs of any type of client. Started in 1994, Moyer Pest Control has over 22 years of experience servicing residential and commercial services throughout Bucks, Montgomery, Lehigh, Delaware and Chester Counties. Ready to resolve your pest problem, Moyer stands as a leading Pennsylvania pest control company that utilizes state-of-the-art technologies to effectively combat insects and rodents. Our Service Professionals™ are acutely aware of the local pest pressures and have been trained to handle any type of infestation, including ants, bed bugs and other pests for homes, apartment complexes, schools, hotels and other types of buildings and environments. 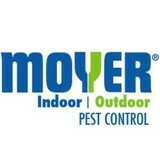 At Moyer, we are ready to resolve your pest problem quickly and efficiently. Experience the Moyer difference with services you can count on. SERVPRO of Manahawkin understands the stress and worry that comes with a fire or water damage and the disruption it causes your life and home or business. Our goal is to help minimize the interruption to your life and quickly make it "Like it never even happened." SERVPRO of Manahawkin specializes in the cleanup and restoration of residential and commercial property after a fire, smoke or water damage. SERVPRO of Manahawkin can also mitigate mold and mildew from your home or business. Our staff is highly trained in property damage restoration. From initial and ongoing training at SERVPRO’s corporate training facility to regular IICRC-industry certification, rest assured our staff is equipped with the knowledge to restore your property. With a nationwide system of qualified franchises, no damage is too large or too small for SERVPRO of Manahawkin. If you would like to schedule service for your home or business, please call today! Serving you since 1967, SERVPRO is the cleaning and restoration brand you know and trust. B&F Well Drilling is a Service-Disabled Veteran-Owned Small Business (SDVOSB) that is family run and provides Environmental and Water Well Drilling, Well Pump & Tank Installation and Service, and Water Treatment Services in the NJ-PA-DE Tri-State area. We have over 50 years of experience, and we are fully licensed, insured and bonded, with many valuable credentials and certifications. We serve Residential, Commercial, and Industrial clients, and we offer FREE ESTIMATES and EMERGENCY SERVICES. Water Damage Solutions, LLC is a damage restoration contractor serving the Pottstown, PA area. Services include Water Damage Restoration, Emergency Water Removal, Fire Damage Restoration, Smoke Damage Restoration, Mold Detection, Mold Removal, Leak Detection, Basement Flood, Burst Pipes, Appliance Leaks, Flood Damage, Dry Out Services, Emergency Plumbing, Toilet Overflow, Roof Leak Repair, Disaster Cleanup, Fallen Tree, Storm Damage, Board Up Services, Contents Cleaning, Vandalism Damage, Junk Removal, Sewage Cleanup, Trauma Scene Cleanup, Basement Waterproofing and Odor Removal. Since 1970, CLEAN-FLO has strived to promote an understanding of how important nutrient reduction in water-bodies is to the long term quality of water in the world’s rivers, lakes, reservoirs, bays and oceans. We have provided specific engineered aeration systems with microbes and enzymes to improve water quality throughout the world. Additionally, in this process CLEAN-FLO has developed a vast knowledge and experience base relating to water quality improvement. This experience is shared daily with our customers to improve and solve the many challenges relating to water quality. CLEAN-FLO personnel understand how complex water quality is and how difficult it is to fully understand the complex interrelationships in nature. Marling's is a full service emergency cleaning and restoration company providing mitigation of water & sewage, fire and smoke damage, mold remediation, trauma/crime scene cleanup as well as carpet cleaning, air duct and dryer vent. If you have spent any time in the restaurant business, you know the old saying: “Prior preparation prevents poor performance. “ Well, that old trope doesn’t just pertain to your food, it pertains to how you set your restaurant up with the equipment and furniture it needs to thrive. For more years, we have been helping restaurateurs all over New Jersey buy and sell the equipment they need to run successful, profitable businesses. We have the largest collection of new and used restaurant equipment for sale in New Jersey and happily buy overstocked or used equipment as well. For many, the restaurant business is a lifestyle. That is the case for our team of experts who have been helping restaurants all over New Jersey find or sell the perfect equipment. Whether you are looking to get a great price on a new meat slicer, outfit your whole kitchen with stainless steel countertops, or unload an overflow of KitchenAid mixers, we are here to help. Water Mold & Fire is who the people of Philadelphia turn to when their home or business needs water damage restoration, mold removal, or fire damage restoration services. Our company is standing by 24 hours a day, 7 days a week, 365 days a year to make sure we are available when you need us most. These problems often happen when least expected, so it is important to have immediate response available to avoid even bigger problems down the road. So if you are currently experiencing these types of issues in or around Philadelphia at your home or business, give us a call. You’d want to hire a New Jersey environmental and restoration company to safely remove mold, or to rebuild after a fire or flood. Unlike normal renovation professionals, a restoration company will often start by securing your home and possibly removing dangerous contents before beginning any repair work. Most environmental damage is caused by water, fire or wind, so you’ll want to choose a New Jersey restoration professional with experience in one or all of these areas. What about mold remediation? Mold remediation is the process of removing mold safely following industry protocols. Special training, equipment and licensing are required. Make sure you are working with New Jersey certified, licensed and insured professionals who guarantee and warranty their restoration work. Older homes needing restoration may have lead paint on walls, doors, windows and windowsills. Lead that gets disturbed by sanding, cutting or replacing old windows can create hazardous lead dust. If your New Jersey home was built before 1978, you’ll want to find restoration professionals with experience and training in lead-safe procedures. Find environmental services and restoration professionals on Houzz. Narrow your search in the Professionals section to Bellmawr, NJ residential environmental testing and home disaster restoration services to find a list of qualified professionals. Read through professional profiles for information on qualifications, experience and services provided.